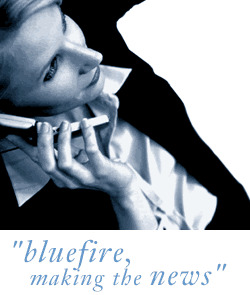 Bluefire Consulting | Database Analyst : "analyst" "crystal resports" "Microsoft Reporting Services" ""Alterian"
We are currently looking to recruit a Database Analyst on a contractual basis for 3-6 months for our client based in Chelmsford although a candidate wishing for a permanent role would also be considered. We are currently looking to recruit a Database Analyst on a contractual basis for 3-6 months for our client based in Chelmsford although a candidate wishing for a permanent role would also be considered. For this role you will have good all round business intelligence and proficient with data extraction tools - our client uses Alterian and this is preferable although similar reporting experience using extraction tools such as Crystal reports or Microsoft reporting Services would also be considered. For this role it is absolutely essential that you have worked in a direct marketing environment. This represents an exciting opportunity for a commercially minded analyst who is used to working in a result orientated, fast paced customer facing environment. You will play an instrumental part in devising and implementing a best practice approach to customer analysis and forecasting. With a number of key measures, you will look to segment and drive additional income from existing and new customers alike. Possessing a demonstrable track record within another analytically focused role you will be comfortable managing and leading a small team and will ideally have experience of the financial services market place and the role and value that robust analysis plays within this sector. *	Financial and KPI tracking & reporting on campaign activity against business targets and dashboard reporting. *	CRM insight, delivery, support and analysis: campaign building, segmentation, propensity modelling etc. *	Provide insight to optimise CRM and product development. *	Produce insightful analysis to support decision making and profitable growth. *	Identify customer segments for effective campaign management working, with the Marketing and product teams. *	Conduct post analysis review of investment to assist in understanding effectiveness of base and acquisition campaigns. *	Work with the marketing teams to share in-depth knowledge of the profile of the customer base and identify trends which product and marketing teams can capitalise on. *	understand, interpret and report on trends - assessing the impact on Product Development. Due to the urgent nature of this role we are looking for people to interview ideally this week with a start date late July early August. "analyst" "crystal resports" "Microsoft Reporting Services" ""Alterian"